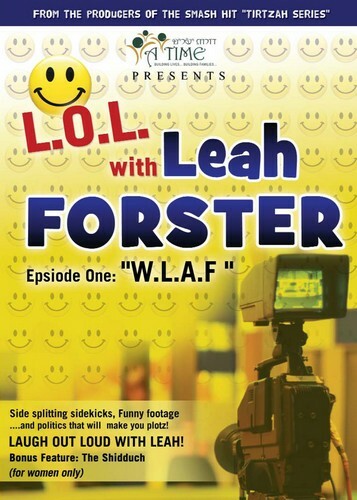 This DVD is very different than anything else Leah’s ever done. It’s a newscast setting with spoofs ranging from a weather forecast to mock interviews with Sara Palin and President Obama. This is a side (or rather sides) of Leah Forster you’ve never seen before …..and hilarity ensues in a variety of ridiculous settings! Video production by Ontime Pro- Video. Distributed by Aderet.